Continental philosophy is a set of 19th- and 20th-century philosophical traditions from mainland Europe. 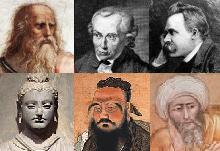 This sense of the term originated among English-speaking philosophers in the second half of the 20th century, who used it to refer to a range of thinkers and traditions outside the analytic movement. Continental philosophy includes German idealism, phenomenology, existentialism, hermeneutics, structuralism, post-structuralism, deconstruction, French feminism, psychoanalytic theory, and the critical theory of the Frankfurt School and related branches of Western Marxism. Psychoanalysis is a set of theories and therapeutic techniques related to the study of the unconscious mind, which together form a method of treatment for mental-health disorders. The discipline was established in the early 1890s by Austrian neurologist Sigmund Freud and stemmed partly from the clinical work of Josef Breuer and others. Psychoanalysis was later developed in different directions, mostly by students of Freud such as Alfred Adler and Carl Gustav Jung, and by neo-Freudians such as Erich Fromm, Karen Horney and Harry Stack Sullivan. 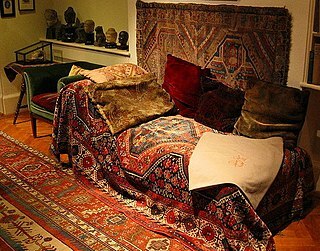 Freud retained the term psychoanalysis for his own school of thought. Feminist philosophy is an approach to philosophy from a feminist perspective and also the employment of philosophical methods to feminist topics and questions. Feminist philosophy involves both reinterpreting philosophical texts and methods in order to supplement the feminist movement and attempts to criticise or re-evaluate the ideas of traditional philosophy from within a feminist framework. Jacques Derrida was an Algerian-born French philosopher best known for developing a form of semiotic analysis known as deconstruction, which he discussed in numerous texts, and developed in the context of phenomenology. He is one of the major figures associated with post-structuralism and postmodern philosophy. The European Graduate School (EGS) is a private graduate school that operates in two locations: Saas-Fee, Switzerland, and Valletta, Malta. Saas-Fee is the main village in the Saastal, or the Saas Valley, and is a municipality in the district of Visp in the canton of Valais in Switzerland. The villages in its neighborhood are Saas-Almagell, Saas-Grund and Saas-Balen. Rutgers Preparatory School is a private, coeducational, college preparatory day school serving students in pre-kindergarten through twelfth grade, located on a 41-acre (0.17 km2) campus along the banks of the Delaware and Raritan Canal in the Somerset section of Franklin Township, in Somerset County, New Jersey, United States. Established in 1766, Rutgers Preparatory School is the oldest independent school in the state of New Jersey and the 16th-oldest in the country. A professor at the University of Virginia for a short time period, Ronell claims she was fired because she taught continental philosophy and "went to the gym on a regular basis: [her] colleagues were shocked by this—it didn't correspond to their image of an academic woman!" She joined the comparative literature faculty at the University of California, Riverside and then at University of California, Berkeley where she taught with Philippe Lacoue-Labarthe, Jean-Luc Nancy and Judith Butler. She was a close friend of the writer Kathy Acker and identified with Acker's fiction, saying they were "destined to each other." In 1996, she moved to New York University, where she co-taught a course with Jacques Derrida until 2004. The University of Virginia is a public research university in Charlottesville, Virginia. It was founded in 1819 by Declaration of Independence author and former President Thomas Jefferson. UVA is the flagship university of Virginia and a UNESCO World Heritage Site. It is known for its historic foundations, student-run honor code, and secret societies. Werner Herzog is a German film director, screenwriter, author, actor, and opera director. 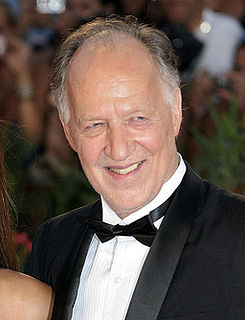 Herzog is a figure of the New German Cinema. His films often feature ambitious protagonists with impossible dreams, people with unique talents in obscure fields, or individuals who are in conflict with nature. Judith Pamela Butler is an American philosopher and gender theorist whose work has influenced political philosophy, ethics, and the fields of third-wave feminist, queer, and literary theory. 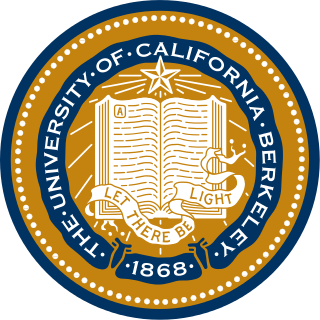 Since 1993, she has taught at the University of California, Berkeley, where she is now Maxine Elliot Professor in the Department of Comparative Literature and the Program of Critical Theory. She is also the Hannah Arendt Chair at the European Graduate School. Dennis Cooper is an American novelist, poet, critic, editor and performance artist. He is perhaps best known for the George Miles Cycle, a series of five semi-autobiographical novels published between 1989 and 2000 and described by Tony O'Neill "as intense a dissection of human relationships and obsession that modern literature has ever attempted." Ronell investigates one of Goethe's most influential works, Conversations with Eckermann , which he did not write but instead dictated to a young schizoid companion, Johannes Peter Eckermann. Heralded by Nietzsche as "the best German book," Conversations with Eckermann contains Goethe's last thoughts about art, poetry, politics, religion, and the fate of German literature and philosophy. Ronell reads Conversations with Eckermann as a return from beyond the grave of the great master of German literature and science. In general, Dictations: On Haunted Writing traces the closure without end of influence's computation. [ clarification needed ]  Ronell's task entails a reading practice where the analysis of a text must investigate the endless movement towards closure in dictation. Ronell thus practices what is called anasemic reading, a practice developed by Nicolas Abraham and Maria Torok, in which the psychoanalyst traces the textual metaphors, rhetorical structures, and linguistic associations of a writer/patient. Ronell questions the operations that such ordinary objects as the telephone and book dictate. She signs the text as the operator of the switchboard alongside Richard Eckersley, operator of design, and Michael Jensen, operator of compositor. Eckersley's design departs from his "typographic subtlety and restraint" towards a computer design, marked by new page-making software programs to interpret the text typographically. Eckersley dislodges the text from presumed conventional settings and shifts the focus of reading with inexplicable gaps, displacements between sentences and paragraphs, mirror imaging of pages facing one another, words blurred to the point of indecipherability, and a regular exaggeration of negative line spacing, spilling sentences over into each other. Pushing the limits of an ordinary "Table of Contents" or "Footnotes," the operators set up a "Directory Assistance," in which chapters appear as reference indexes, and a yellow pages entitled "Classified," in which footnotes appear as soliciting advertisements. Ronell takes as her point of departure Nietzsche's articulation that, as long as culture has existed, it has supported and inspired addiction. Often untimely, she develops an argument investigative of the destructive desires that coincide with the war on drugs and with the very addiction to drugs which the war claims to want to vanquish. The result is a text whose performance disturbs simple comprehension and frustrates any reading that wishes to tackle drugs on one side or another of a binary opposition. Ronell appeals to literature as the most advanced testimony to the culture of addiction and closely reads Madame Bovary . Prior to the title page, Ronell showcases quotes from Martin Heidegger, Gustave Flaubert and Samuel Beckett. The text opens with a series of sixteen "hits" informative of both the structure of doing drugs and of the structure of cultural transmission. The "hits" serve as a series of references which survey the literary and philosophical landscape as relates to drugs. "Toward a Narcoanalysis" consolidates the text's itinerary to an account of the sort of analysis Ronell begins to explore by appealing to Gustave Flaubert's Madame Bovary . "EB on Ice" performs a first-person account where Ronell complicates the certitude with which the reader can identify the first-person narrator as herself, as EB, or being on ice as being in the refrigerator, as being on methamphetamine. "Shame" highlights something like the downsizing of interpretation as it only occupies eight pages and draws the reader's attention to the possibility that the text experiments with the potential indifference between drugs and texts. "Scoring Literature" makes up the largest portion of the text and includes nineteen subsections along with a "Doctor's Report" of E. Bovary. "Cold Turkey: or, The Transcendental Aesthetic to be Eaten" is formatted as three installations, three nano-installations, and two nano-intervals of a theatrical play where Ronell convokes Ernst Jünger, Martin Heidegger, Jacques Derrida, Marguerite Faust, Marguerite Duras, Freud, Irma, Voice Off, Nietzsche, Saint Theresa, Emma B, Walter Benjamin, chorus, priest, and delusions of a non-addict. Originated by the philosopher Jacques Derrida, deconstruction is an approach to understanding the relationship between text and meaning. Derrida's approach consisted of conducting readings of texts with an ear to what runs counter to the intended meaning or structural unity of a particular text. The purpose of deconstruction is to show that the usage of language in a given text, and language as a whole, are irreducibly complex, unstable, or impossible. Throughout his readings, Derrida hoped to show deconstruction at work. Post-structuralism is associated with the works of a series of mid-20th-century French continental philosophers and critical theorists who came to international prominence in the 1960s and 1970s. The term is defined by its relationship to the system before it—structuralism. Structuralism proposes that one may understand human culture by means of a structure—modeled on language —that differs from concrete reality and from abstract ideas—a "third order" that mediates between the two. Hélène Cixous is a professor, French feminist writer, poet, playwright, philosopher, literary critic and rhetorician. Cixous is best known for her article "The Laugh of the Medusa", which established her as one of the early thinkers in poststructuralist feminist theory. She founded the first centre of feminist studies at a European university at the Centre universitaire de Vincennes of the University of Paris. Gayatri Chakravorty Spivak is an Indian scholar, literary theorist, and feminist critic. She is a University Professor at the Columbia University and a founding member of the establishment's Institute for Comparative Literature and Society. Carla Harryman is an American poet, essayist, and playwright often associated with the Language poets. She teaches Creative Writing at Eastern Michigan University and serves on the MFA faculty of the Milton Avery School of the Arts at Bard College. She is married to the poet Barrett Watten. A literary genre is a category of literary composition. Genres may be determined by literary technique, tone, content, or even length. The distinctions between genres and categories are flexible and loosely defined, often with subgroups. Geoffrey Bennington is Asa Griggs Candler Professor of French and Professor of Comparative Literature at Emory University in Georgia, United States, and Professor of Philosophy at the European Graduate School in Saas-Fee, Switzerland, as well as a member of the International College of Philosophy in Paris. He is a literary critic and philosopher, best known as an expert on deconstruction and the works of Jacques Derrida and Jean-François Lyotard. Bennington has translated many of Derrida's works into English. Simon Critchley is an English philosopher and the Hans Jonas Professor of Philosophy at the New School for Social Research. The Virtue of Selfishness: A New Concept of Egoism is a 1964 collection of essays by Ayn Rand and Nathaniel Branden. Most of the essays originally appeared in The Objectivist Newsletter. The book covers ethical issues from the perspective of Rand's Objectivist philosophy. Some of its themes include the identification and validation of egoism as a rational code of ethics, the destructiveness of altruism, and the nature of a proper government. Weimar Classicism was a German literary and cultural movement, whose practitioners established a new humanism, from the synthesis of ideas from Romanticism, Classicism, and the Age of Enlightenment. 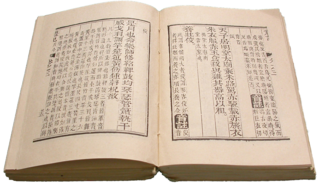 The linguist Ignace Gelb coined the term "grammatology" in 1952 to refer to the scientific study of writing systems or scripts. Grammatology can examine the typology of scripts, the analysis of the structural properties of scripts, and the relationship between written and spoken language. In its broadest sense, some scholars also include the study of literacy in grammatology and, indeed, the impact of writing on philosophy, religion, science, administration and other aspects of the organization of society. Historian Bruce Trigger associates grammatology with cultural evolution. Stupidity is a lack of intelligence, understanding, reason, wit, or common sense. Stupidity may be innate, assumed or reactive – a defence against grief or trauma. 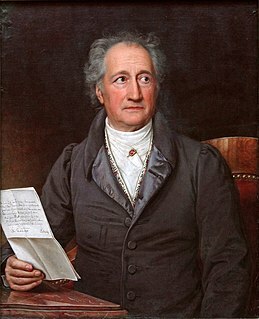 Johann Wolfgang (von) Goethe was a German writer and statesman. His works include four novels; epic and lyric poetry; prose and verse dramas; memoirs; an autobiography; literary and aesthetic criticism; and treatises on botany, anatomy, and colour. In addition, there are numerous literary and scientific fragments, more than 10,000 letters, and nearly 3,000 drawings by him extant. Martin Hägglund is a Swedish philosopher, literary theorist, and scholar of modernist literature. He is Professor of Comparative Literature and Humanities at Yale University. He is also a member of the Harvard Society of Fellows, serving as a Junior Fellow from 2009 to 2012. Hägglund is the author of Dying for Time: Proust, Woolf, Nabokov (2012), Radical Atheism: Derrida and the Time of Life (2008), Kronofobi: Essäer om tid och ändlighet and This Life: Secular Faith and Spiritual Freedom (2019). Diane Davis is a post-structuralist rhetorician and professor of Rhetoric and Writing, English, and Communication Studies at the University of Texas at Austin. She was the Director of the Digital Writing and Research Lab at UT from 2009 - 2017 and is now the chair of the Department of Rhetoric and Writing. She holds the Kenneth Burke Chair of Rhetoric and Philosophy at the European Graduate School in Saas-Fee, Switzerland, where she teaches intensive summer seminars on Jacques Derrida and Emmanuel Levinas. Anne Dufourmantelle was a French philosopher and psychoanalyst. ↑ "Department of Comparative Literature". complit.as.nyu.edu. Retrieved 17 December 2017. ↑ "Israeli Artists Condemn Settlements". 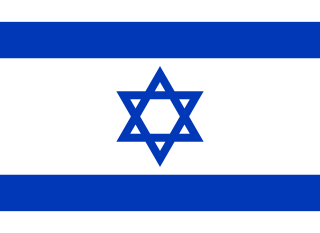 Jewishvoiceforpeace.org. 6 September 2010. Retrieved 17 December 2017. ↑ Gessen, Masha (August 25, 2018). "An N.Y.U. Sexual-Harassment Case Has Spurred a Necessary Conversation About #MeToo". The New Yorker. Retrieved September 25, 2018. ↑ "Selon... Avital Ronell". Centrepompidou.fr. Retrieved 17 December 2017. ↑ "Walls and Bridges : Season 4 : Ideas & Performances" (PDF). Villagillet.net. Retrieved 17 December 2017. 1 2 3 4 5 "Department of German". german.as.nyu.edu. Retrieved 17 December 2017. ↑ "ACLA 2012 » Plenary Sessions". Web.archive.org. 19 November 2011. Archived from the original on 19 November 2011. Retrieved 17 December 2017. ↑ Hainley, Bruce (November 1, 1994). "Finitude's Score: Essays for the End of the Millenium". Artforum International. Retrieved September 10, 2018. ↑ "Special Section: On the Work of Avital Ronell". diacritics . The Johns Hopkins University Press. 24 (4). Winter 1994. JSTOR i219995. ↑ Culler, Jonathan (Winter 1994). "On the Work of Avital Ronell". diacritics . The Johns Hopkins University Press. 24 (4): 2–3. JSTOR 465354. ↑ "The 11th Annual Oscar Sternbach Awards and Lecture: Judith Butler on Ideologies of the Superego". University Events. The New School. Archived from the original on 20 Jan 2012. ↑ Butler, Judith (2009). "Avital Ronell as Gay Scientist". In Davis, Diane (ed.). Reading Ronell. University of Illinois Press. p. 30. ISBN 978-0-252-07647-3. ↑ Davis, Diane (2009). "Introduction". In Davis, Diane (ed.). Reading Ronell. University of Illinois Press. p. 3. ISBN 978-0-252-07647-3. ↑ Derrida, Jacques (2009). The Beast and the Sovereign. Translated by Bennington, Geoffery. University of Chicago Press. p. 171. ISBN 978-0-226-14428-3. ↑ Coover, Robert (June 3, 1990). "Reach Out and Disturb Someone". New York Times Book Review. Retrieved September 13, 2018. ↑ Ree, Jonathan (March 22, 2002). "It's the philosophy, stupid". Times Literary Supplement. Retrieved September 13, 2018. ↑ Hüppauf, Bernd (8 September 2018). "A witch hunt or a quest for justice: An insider's perspective on disgraced academic Avital Ronell". Salon. Retrieved 10 September 2018. 1 2 3 4 Greenberg, Zoe (August 13, 2018). "What Happens to #MeToo When a Feminist Is the Accused?". The New York Times. Retrieved 2018-08-13. ↑ Mangan, Katherine (August 16, 2018). "Battle Over Alleged Harassment Escalates as Former Graduate Student Sues Professor and NYU". Chronicle of Higher Education. Retrieved September 15, 2018. 1 2 Goldhill, Olivia (June 12, 2018). "Feminist scholars argue a Title IX case is unfair—when a woman is under investigation". Quartz. ↑ Gluckman, Nell (June 12, 2018). "How a Letter Defending Avital Ronell Sparked Confusion and Condemnation". Chronicle of Higher Education. Retrieved August 17, 2018. ↑ Harris, Adam; Wong, Alia (August 15, 2018). "When Academics Defend Colleagues Accused of Harassment". The Atlantic. ↑ Mangan, Katherine (August 15, 2018). "New Disclosures About an NYU Professor Reignite a War Over Gender and Harassment". Chronicle of Higher Education. Retrieved August 17, 2018. We ought not to have attributed motives to the complainant, even though some signatories had strong views on this matter," Butler wrote. "And we should not have used language that implied that Ronell’s status and reputation earn her differential treatment of any kind.